1. I’ve got to figure out how to serve clients without being face-to-face because it’s growing increasingly impractical and too expensive. How can I learn it and maybe more importantly, how can I transition clients to embrace it? Let’s start with the last part, transitioning clients to a new way of interaction. I’m going to have be somewhat generic because I don’t know how your clients are wired or what their current expectations are. My first concern would be their demographic and technical abilities. For example, if you’re going to connect with them via Skype or Google Hangouts On Air or some other online video conferencing technology, your clients are going to have feel comfortable with that technology. Even though it’s easy for those of us who use it regularly, it can be like flying a spaceship for people who aren’t familiar with it. Additionally, do your clients have the technology. I’m assuming a two-way (perhaps more) interaction since you’ve said “face-to-face.” Delivering content to clients in a passive manner is easy enough as long as they’ve got computers that can access the Internet. But it can grow increasingly complicated if we’re now asking clients to get online and interact with us live. You may also find it difficult to transition clients from a higher touch experience to one that’s lower touch. I’ve seen this with clients who spoiled clients with a level of responsiveness that simply is impractical or unsustainable. For example, some service professionals who don’t know how to properly manage their time, or client experience, can unexpectedly train clients to expect them to answer the phone directly every time they call. When these clients aren’t able to get “the boss” on the phone they feel slighted. Through the years they’ve grown accustomed to getting him on the phone anytime they want. It can be tough weening them off that expectation, but it’s important to devise a process that will better serve the clients and the business. It depends on a few things I’d like you to consider: scope, scale, context and content. When I say scope I mean the breadth of it. That is, how broad is this in your business? Let’s use a software company as an example. An enterprise software company may have 100 clients. An end-user software company could have millions of users. Two very different scopes. When I say scale I mean the depth of it. That is, how deep is this in your business. The enterprise client may have a dozen critical users even though there are 100 clients. Now we’ve got 1200 potential individual people representing those 100 enterprise clients. The end-user software company is serving individuals so it’s a one-to-one ratio when we think of scope and scale. Still, it’s millions. Context is the level of interaction necessary. The enterprise software company needs to provide more hand holding than the end-user software company. It requires much higher interaction. Content is the actual information exchange needed in the interaction. For the enterprise software company it’s customized to suit each client. For the end-user software company it’s one-size-fits-all. As you can see, these four factors help us establish the methodology. If you’re a customer of an end-user software company like Skype, or WordPress…then you realize you’re not going to get high touch interaction. There are millions of users and it’s impractical for us to be able to experience that with such software companies. Over the years, we’ve been trained to submit support tickets. That helps the company manage the customers and their own product better. We’re mostly satisfied with that unless the response times are too slow. Additionally, these kinds of companies have knowledge-bases that answer all the most frequently asked questions or address the most frequently encountered problems. For the enterprise software company with far fewer customers, and customers who are likely paying much larger sums of money, the expectation is different. A support ticket system may still be useful for both the company and the client, but what happens next is likely going to be very different. It may be a phone call. It may be a 15-minute guaranteed response time. And it may have a support fee attached. Again, the four factors impact the client’s expectation and the company’s business model to handle these things. Many service professionals, such as coaches and consultants, do business virtually. I do. Again, I’d challenge you to incorporate the four factors and think of how they apply to what you’re doing. Technology is getting more widespread and usable. Things that were once rare are commonplace now. Skype for instance. It may be that you’ll have to teach and train your clients in the proper use of technology. I even know some who provide their clients with a webcam and USB microphone, plus training in how to use them. That way, they’re insured of a good experience for their purposes and for the client. The bottom line is you must do what’s in the best interest of serving your clients so your business can be sustainable. Face-to-face interactions are sometimes necessary, but many times a virtual session is just as good. Here in DFW I could easily spend an hour in traffic. Additionally, face-to-face time is more costly for a client. When it’s needed, I can make it available, but at a premium price warranted by the high touch nature of it. Or, I can conduct a virtual session for a much lower price because I don’t have to factor in the wasted time required when face-to-face sessions are in play. I’d suggest thinking about making both offers, but put a premium on the highest touch offer so when people do select it…you’re happy to say, “Yes.” What I see too much of are businesses that will make that offer, then bemoan the fact that clients select it. Resentment toward clients is a bad habit afflicting too many business owners. Avoid that by putting pricing in place that makes you happy when clients select it. If you can’t do that, then don’t make the offer. As with all of these things an honest, upfront sales story should be crafted so clients know exactly what you’re doing and why. Tell the truth and I’m betting you’ll be able to transition clients to your new process. Expect to have a few clients who may be more difficult. That’s okay, just do enough hand holding with them to get them to better understand how this is going to benefit them by keeping costs down and giving them improved service. 2. I’ve heard you talk about the “Knowing-Doing Gap” so I read the book. Thanks for talking about it. My question is about how I can make sure people are doing what they know. Sometimes we have people failing to perform as well as we’d expect, but sometimes it’s as though they honestly don’t get it. We want to hold people accountable, but we also want to make sure we’re fair. Training, training, training. Don’t overlook the “show me” step. It’s a frequent trap employers get into. They simply assume employees know what to do, how to do it and when to do it. Until the employee has proven they know, assume they still need training. If a person can’t show you, after sufficient training, then you either have a competence issue or a willingness issue. Either way, the employee has to go. You need people who can and will do what’s needed. The minute a person shows you they can do the work, expect it to be done properly every time. If they fail, you should assume that you’ve now got an issue of willingness. They’re just unwilling – for some reason – to do what they know they must. Address that directly and quickly. Follow the HR guidelines of your company and make sure you’re obeying all the appropriate laws governing proper employee discipline. Put it in writing and be clear. Provide additional time and support to help the employee get back to a place of willingness. Sometimes it’ll succeed. Sometimes it won’t. The employee must be in a position to control his own destiny. Do the work properly, keep your job. Don’t, and lose your job. Don’t be a coward and hope things will improve on their own. They won’t. Besides, it’s unfair to the rest of team who is performing. 3. Podcasting seems to be going crazy. I’m a longtime listener, but have never really considered using podcasting in my business. I’m an attorney focused mainly on helping fathers who want to be part of their children’s lives post divorce. How would I be able to use podcasting in my practice? Content marketing gurus will urge you answer the questions your clients are asking. A few years ago that would have been good advice, but today there are millions of businesses attempting to do the exact same thing. You need to do something different. I’m a big believer in zig zag — that is, if everybody is zigging, you need to zag. Now that doesn’t mean you need to reinvent the wheel. It just means you’ve got to do something to set yourself apart. If you’re a person comfortable speaking in front of people and if you’ve got a conversational style of communication with your clients I say give it a go at podcasting. But many attorneys are so steeped in the language of the law, which is what law school has properly taught them, they find it hard to talk like a regular person. If you’re not able to talk like a regular person I’d encourage you to avoid podcasting. Ask your non-attorney friends for feedback. Assuming you want to move forward – and I’m not going to discourage you, even if you love attorney-speak. Practice can help. And it will help provided you stay with it and devote yourself to learning. Let me just give you some ideas about content. Address the fears and concerns of potential clients. I’d assume a dad you serve has a lot of trepidation. Do a series of podcasts talking about that. Talk about how you work, and what the client can expect in that first meeting. I’d imagine most of these men have never had to go through this process before. Help guide them, through the podcast, in how you work. Hearing your voice in a friendly, conversational tone can help you stand out from other attorneys doing exactly what you’re doing…but prospects have no way to getting a sense of who they are because they don’t have a podcast. 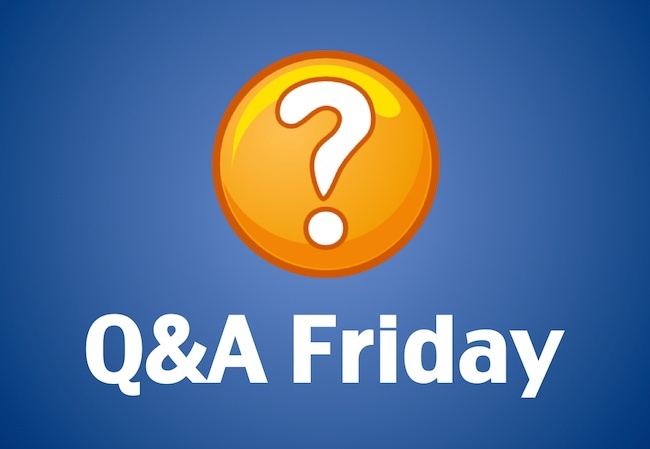 Submit your questions using the contact page or “Send Voicemail” button on the right.